There’s no greater predictor of long-term organizational success than healthy team culture. Yes, customers matter. So do products and services. But an unhealthy team won’t create the best products or serve their customers very well. But how can leaders build healthy team culture? The most common way is to start with a list of core values. But that’s not enough. We’ve all spent time in organizations whose core values hung on the wall, and the frame was worth more than the list. Several years ago Patrick Lencioni highlighted one company’s values: communication, respect, integrity, excellence. Looks good, right? “These are the corporate values of Enron, as stated in the company’s 2000 annual report,” he explained. Building healthy team culture takes more than compiling a list of values. It’s like an engine. You could have the best engine in the word, but it’s worthless without a transmission to engage the wheels. Fortunately, most organizations have a tool they can repurpose to make the connection. I’m talking about their benefits package. Benefits are typically used in recruitment. They’re designed to woo prospective employees or seal the deal after the larger considerations like pay are discussed. And they’re useful for that. But serving as a hiring gimmick falls far short of their potential. When leaders see benefits as the gear box for our company values, they can be used to power team culture in exciting and effective ways. Here’s an example from my own organization. At Michael Hyatt & Company our core values include radical margin, unyielding integrity, and continuous growth. I firmly believe we’re at our best at work when we’re at our best as people. 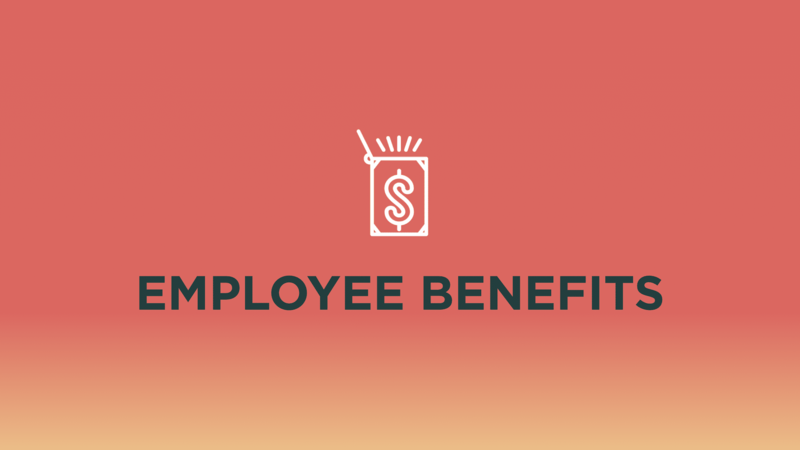 As a result, we’ve designed our benefits package to help bring those and other core values to life. Here are just five benefits from our package. Every item on this list is intended to empower our full-time, salaried team members (and their families) to embody our values and experience personal development and transformation. No-cap bonus plans. To achieve success, we all have to work together. That’s why we share in our success together, too. And if we beat our goals, there’s no ceiling on bonus potential. Work from wherever. We trust our employees to know what surroundings will help them do their best work. So we welcome employees to work from home or wherever they like. We are building private, premium co-working space but working there is optional except for key meetings. 40-hour workweek. We know our best work happens when we have margin in our lives for what matters most so we aim for a sustainable workweek and encourage employees to unplug after hours. Premium health-care. Healthy employees are happy employees, so we cover 100 percent of our employees’ health care plan and 50 percent for their dependents. That doesn’t even cover our paid family leave, investment in professional development, or no-red-tape software budgets. Too often benefits and values live on two separate lists in two separate departments. HR handles the benefits list. The executive team handles the values. But if you’re looking to build a healthy, thriving team, they need to be integrated. It’s fine to have values that hang on the wall. But you also want them walking down the halls. Teams are made of people. And the right people will help you embody your values if you structure your benefits to engage them.